Whatever happened to Wayne Krenchicki? 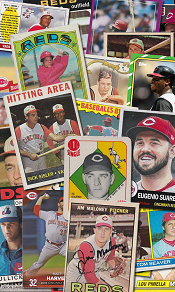 Wayne Krenchicki is a former major league ballplayer who played with the Orioles, Reds, Tigers, and Expos in the 1970s and 80s. He was originally drafted by the Philadelphia Phillies in 8th round in 1972, but did not sign. Four years later the Orioles selected Krenchicki in the 7th round. This time, Wayne put his John Hancock on a contract. After a few years in Baltimore, Krenchicki was sent to Cincinnati to complete a trade for Paul Moskau in 1982. Wayne spent the 1982 season and part of 1983 with the Reds, but was shipped off to Detroit for Pat Underwood. Cincinnati management decided they wanted ol’ Wayne back, though, so in November they purchased his contract from Detroit. 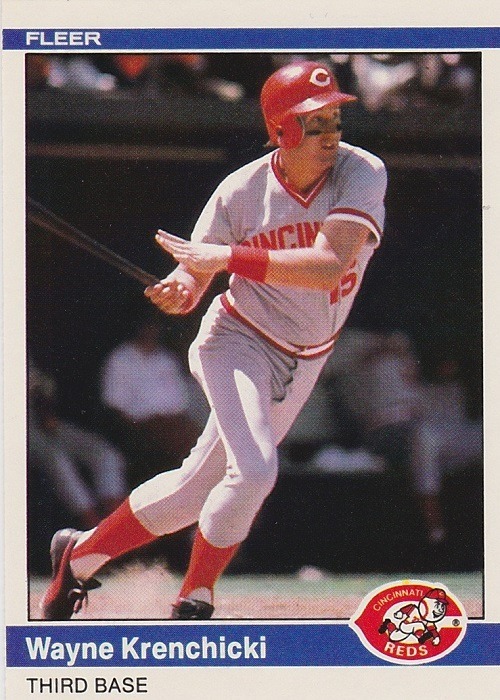 Krenchicki played all of 1984 and 1985 with the Reds, but was once again sent away prior to the 1986 season. This time, though, he was involved in a trade of real value. The Reds received future Nasty Boy Norm Charlton from the Expos as a part of the deal. Krenchicki played 101 games for Montreal in 1986, his last big league season. So what has Wayne been up to for all these years? In 1989 and 1990, Krenchicki played in the Senior Professional Baseball Association. After that league folded, Wayne was hired by the Brewers as a minor league instructor from 1991-1994. Since 1995 he has managed a number of independent minor league teams, including the 2007 Atlantic League champions Newark Bears. Currently, Krenchicki can be found calling the plays for the Evansville Otters of the Frontier League. It is great that a person can make a living by doing something he truly loves, something that many others do purely for recreation. To play in the big leagues is a huge accomplishment, and to become a manager after your playing days are over is awesome. But really, does any of that justify grading a Wayne Krenchicki baseball card?